Education — Change Agent Network, Inc.
"Breaking the cycle of poverty through education in Liberia." Second poorest country in the world. Most Liberians think of the high cost of educating their children and young people but comparatively, very few give any thought to the much higher cost of not educating them. Liberia has been majorly affected by the recent civil wars (1989-1996) and the recent Ebola Epidemic in 2014 as well as government mismanagement. These awful situations have dashed the hopes of the Liberian children and youths of school going age who are being deprived access to basic education. *In 2013, 25,000 high school students tested for entrance into the University of Liberia. Not even one of them was able to achieve the minimum passing grade for entrance. Through the years, the education system has been plagued by ineffective management and insufficient funding. To make quality Christian education encompassing from Pre-K through grade 12th available, affordable, accessible and attainable to the underserved Liberian children and youths. Building on a foundation of indigenous staff, community leaders, and local resources, Change Agent Network empowers the Liberian children and youths to become academically, socially, economically and spiritually resilient. The Daily Low School Fees Independent Sustainable School Program is administered through the Changers School System which is the educational branch of Change Agent Network-Liberia (CAN-LIB). OUR GOAL: To make quality Christian education available, affordable, accessible and attainable to the underserved Liberian children and people. MISSION: To educate and develop Christian Leaders with a heart for others, who will become critical thinkers with the life skills to change Liberia. VISION: A New and Better Liberia that is Free of Corruption, Physical, Mental, Relational and Spiritual Poverty. CAN provides the expertise in training the locals to build, operate and financially sustain their own school using local resources. Global partners or friends of Liberia make a one-time high impact donation to purchase building materials and startup capital to launch the school. The local community donates the school land, volunteer their time and services to build, oversee and locally sustain their own school. The school is self-sustained through our daily low-cost school fees payment plan. This plan uses a system in which a card is issued to every student and parent to track semester educational cost broken down into daily cost based upon economic prospects of the school environment. The vast majority of parents and students live on a day-to-day basis, this gives them a simplified, easy and durable daily flat rate payment plan. The payment card creates 100% transparency and accountability between the school administration, parents, guardians and students. The items collected from parents and students are converted into cash and used for operating the school. We also sell some of these items to our employees on a salary deduction basis and the public as well as raise some of the livestock for business reproduction purposes. IMPACT OF OUR WORK IN LIBERIA. 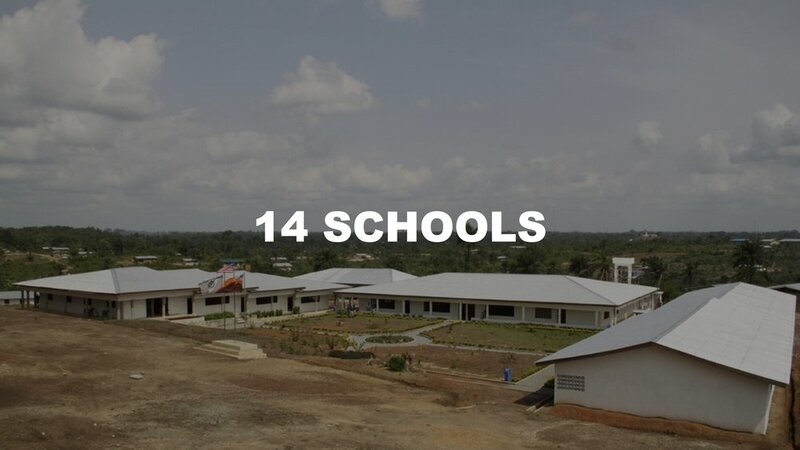 We have successfully built 14 schools in 6 counties of Liberia. We are presently educating over 3,000 underserved children in Liberia. There are 200 employees on payroll nationwide. Within the past 7 years, Change Agent Network has graduated more than 1,400 students, many of which have become meaningful contributors to society. One such student is Jerolimic Piah, the current Liberian Presidential Press Secretary. IF YOU ARE INTERESTED IN GETTING INVOLVED WITH THIS UNIQUE PROGRAM, PLEASE CONTACT US: EMAIL: INFO@CANINTL.ORG PHONE: 469-418-5663 or write us at: 10000 North Central Expressway, Suite 400 Dallas, Texas 75231.